What's left to be said about the Indian Chief? It would probably appear among the half-dozen most iconic motorcycles in history, and it certainly is the most glamorous of them all. Launched in 1922, it rapidly eclipsed the Scout as the American manufacturer’s most popular product, and was built until the company’s demise, in 1953. At first it retained an improved version of the V-Twin, 1000 cc engine from the previous Powerplus model, though enlarged to 1200 cc as early as 1923. 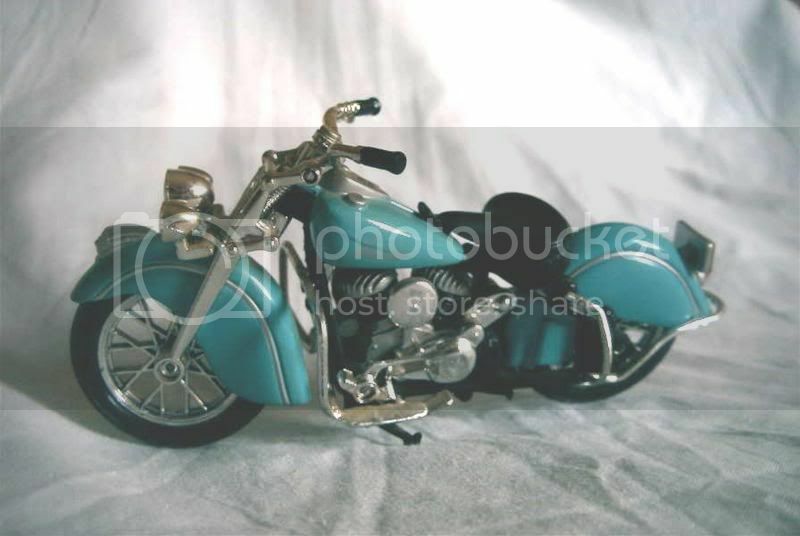 The needs of the U.S. Army during World War Two ensured that Indian’s factory was used to its full capacity, but the major part of the military contracts nevertheless went to Harley Davidson, Indian’s rising competitor. As soon as the conflict was over the gap hopelessly broadened between the two companies, putting Indian, once the biggest motorcycles manufacturer in the world, in dire straits. In 1950 the Chief’s displacement was again enlarged, to 1300 cc – to no avail. By 1953 the production was interrupted. For a time Indian confined itself to rebadging imported motorcycles, but left an open field to Harley Davidson regarding heavy V-Twin cruisers. After an attempt to launch a modern-day Indian failed in California, a new company, owned in majority by British interests but set up in Kings Mountain, North Carolina, revived the name. 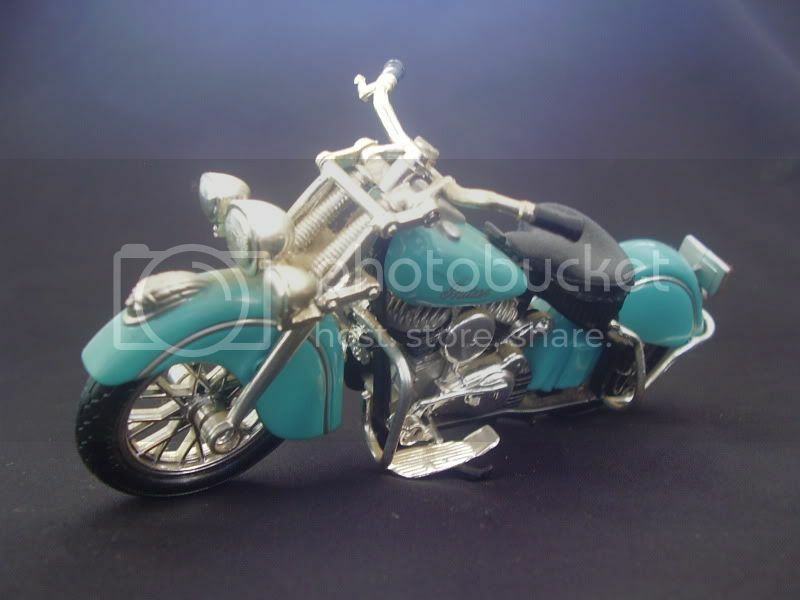 An outstanding motorcycle intentionally built in very limited quantities, the latest Indian model, symbolically named Chief, was introduced for 2009. Should the third millennium Indian honour the glorious names it bears, let us wish it the best fortune may bring. Maisto launched this milestone of American motor history back in 1997, and this model is unfortunately long sold out. 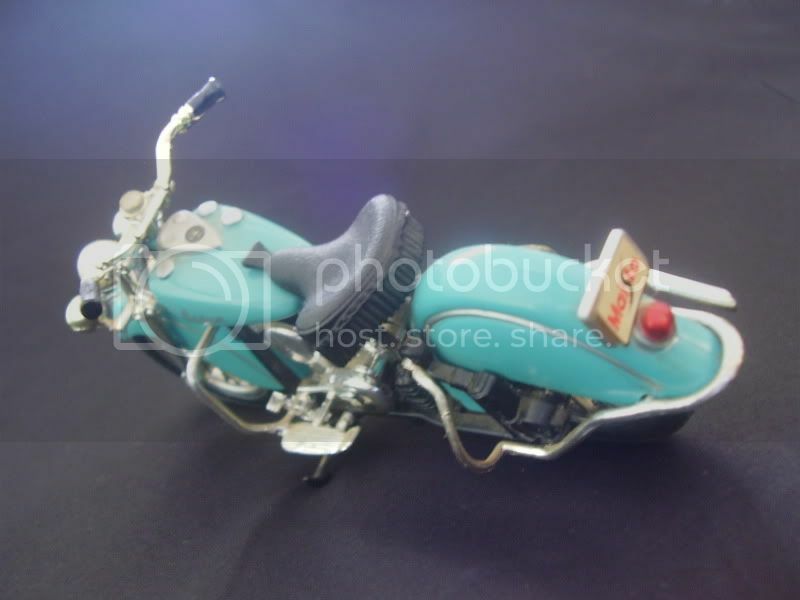 The same company also produced a 1:10 scale version of the same motorcycle, as long as a 1:18 rendition of the smaller Indian Four. Maisto didn't provide any clue about the vintage of this Chief on its stand, but the 1:10 being presented as a 1948 model, I assume its smaller sister is from the same year. Overall the model appears nice, but on closer inspection the wire wheels are quite thick, and the typical fringed saddle looks rather simplified. Furthermore, the engine seems to be exactly what it is: two symmetrical parts of bright plastic glued together. 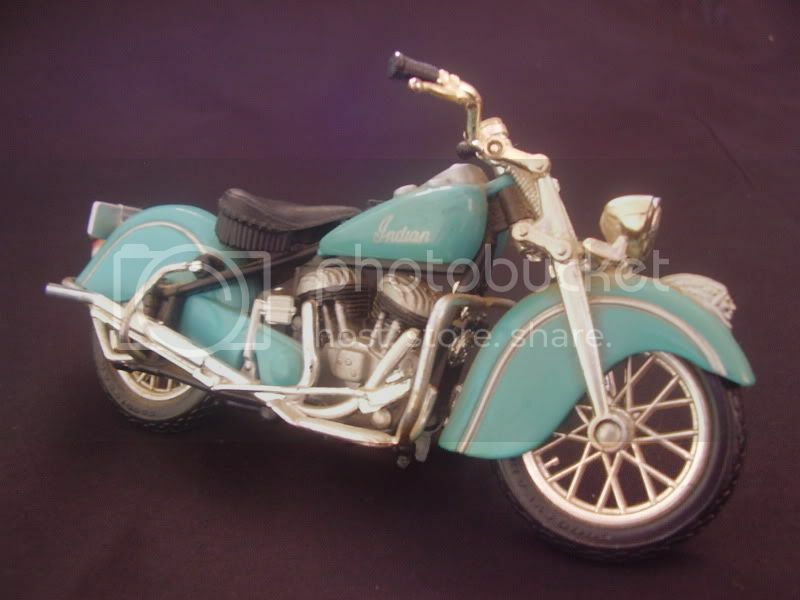 Excellent models of the Indian Chief exist in 1:18... but not at the same price, so I suppose a few drawbacks have to be accepted. I'd give 12/20 to this model.